It’s an $80 mug. Let’s get over this part. This seems to be a big topic with the Ember mug, so let’s get it out of the way first: it’s an 80 dollar mug. Imagine that! I will be lying to you if I said I didn’t picture Kevin from Shark Tank screaming “It’s an $80 mug you fool“, but it stopped being a thing after a while. In retrospect, I’ve bought products that offered far less value for the buck, so this is not a concern for me. I’m into coffee as a hobby and I easily go through 6-8 mugs a day, so spending $80 on something coffee related is not that rare. Why not an insulated tumbler or thermos? Another thing to get out of the way before getting into the actual review: I’m not buying this as an insulated mug alternative and I believe you shouldn’t be either. It’s not a great (or even good) thermos: it’s not supposed to be that. The Ember is supposed to be my main mug: the one I drink coffee and sometimes tea from on a daily basis (I work remotely). In that sense, it’s meant to keep my beverage hot but not melting hot. Since I’m not aiming to keep my coffee hot for hours on end, heating is not a core feature for me: it’s more of an nice bonus. Hell, my previous mug didn’t even have a heating element. I often drink my coffee over the span of just enough time that it starts getting unpleasantly cold when I’ve had about 2/3 of it. In result, I often find myself flushing 1/3 mug of perfectly fine specialty coffee, so the Ember seemed like it could provide that extra little boost to help me go through a whole mug. And I’d say it did that and a bit more. At least 40% of the reason I bought the Ember mug for was that it really sparked joy (check out Marie Kondo if you haven’t). A bunch of people around me got one, so add peer pressure to the mix and I was sold. I’m not someone who is really into mugs but I’m not someone who disregards their mug either. On a scale from “0️⃣ Drinking from paper cups only“ to “1️⃣0️⃣ I only buy my mugs from Etsy“, I’m somewhere around 4️⃣, or “I spent 20 minutes picking this set of mugs at IKEA“. Back to the Ember mug: it’s sweet. Even if it didn’t have the added features, I’d still say it’s the nicest mug I’ve drank from. It has the perfect amount of heaviness to it distributed in just the right way. The handle is spacious and easy to grip in different ways. I also love then fact it’s cylindrical and not conical. What’s the deal with conical mugs? As you might have noticed, I’m not a huge fan. They tend to guide too much coffee towards your mouth in a slightly more unpredictable fashion, thus making it easier to spill coffee on your shirt. It’s also harder to gouge how much coffee you’ve been through and how much your have left because of the conical shape. The mug is made of metal coated with an thick layer of ceramic. It feels like a heavy ceramic mug: one wouldn’t be able to tell it’s made of metal if they weren’t told in advance. Size-wise, I think it’s perfect. Some US reviewers complain about it being too small, but even my everyday Lungo (a long shot of espresso) fills up about 60% of it and it’s about 150ml. 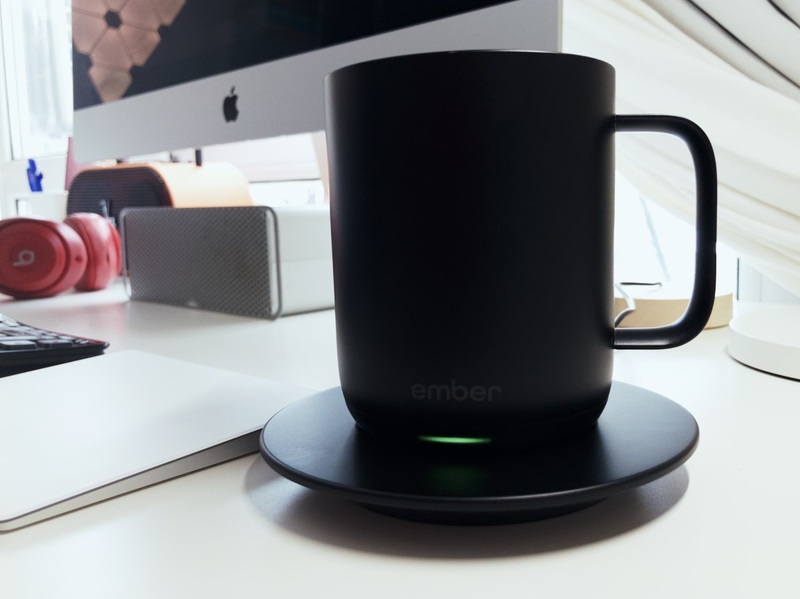 When I was researching the Ember mug before buying it, one of my requirements was that I can use it without my phone. Not without ever pairing it or even trying the smart features, but without having to start a heating cycle or something manually every time I have coffee. Fortunately, that’s the case. Once you pair the mug over Bluetooth and configure it, you can pretty much use it as a normal mug as long as it’s charged. Just pour in your choice of a hot drink enjoy it. The mug keeps it at your desired temperature for about 1h on its own or infinitely when put on the saucer charger. The process is nicely thought-out and almost invisible. You pour in coffee, the sensors turn their mug on, it waits until the coffee cools down to your desired temperature and then maintains it. All of this can be tracked through either the LED light on the mug itself or on your iPhone/Apple Watch. When you’re done with your drink, the mug senses that and turns itself off. The biggest problem with the whole experience right now is that the mug often forgets your default setting and goes back to 54C or something similar, which is way too low. As of now, I haven’t figured out a way to permanently default to my 62C Lungo preset, so I have to open the app every now and then: once every other day. And what about the heating feature itself? It’s amazing and works just as expected. I was afraid it might not go hot enough for my taste, but it was perfect. I originally put it on the highest setting, but that was too much, so I’m using it at 62C now. The iPhone app is a solid 7/10. It gets the job done and is kind of intuitive, although also weird around the corners. The whole navigation pattern of swiping instead of using a standard tab bar is though to get used to, but I don’t use the app that much, honestly. 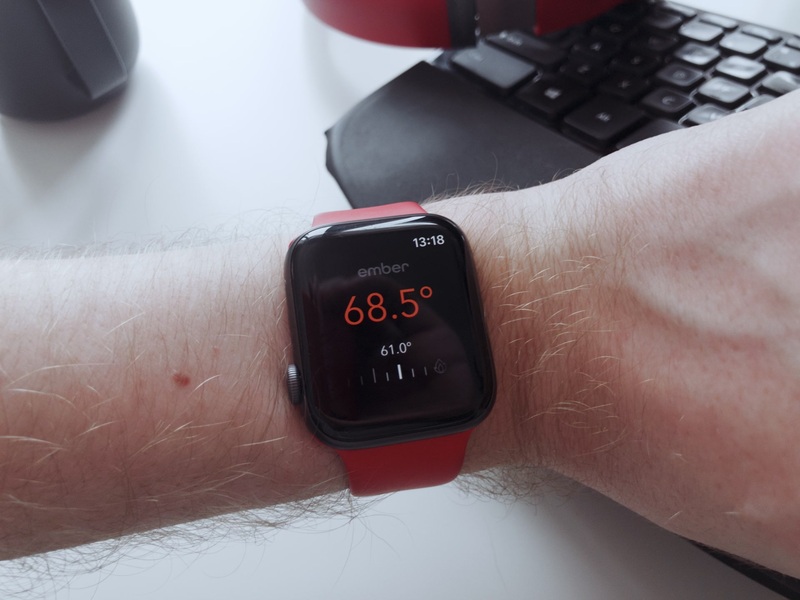 I like the Apple Watch app a lot more: it’s super minimal and only shows you the current temperature and the target temperature. I wish the Watch app could control the mug instead of being used for monitoring only, but I wouldn’t use that too often either, so I don’t really care. One smart feature I do enjoy a lot is the mug notifying me when my coffee has cooled down to 62C. I’ve set the notification in a way where it shows on my Apple Watch but doesn’t pile up in Notification Center, so it’s just a one-time haptic notification and it goes away. Ultimately, no matter how good the apps get, I’m still looking for a mostly screenless experience as my reference point. I just want a “magic“ mug that understands what is going on and maintains my coffee but acts like a good old dumb mug: no extra overhead. 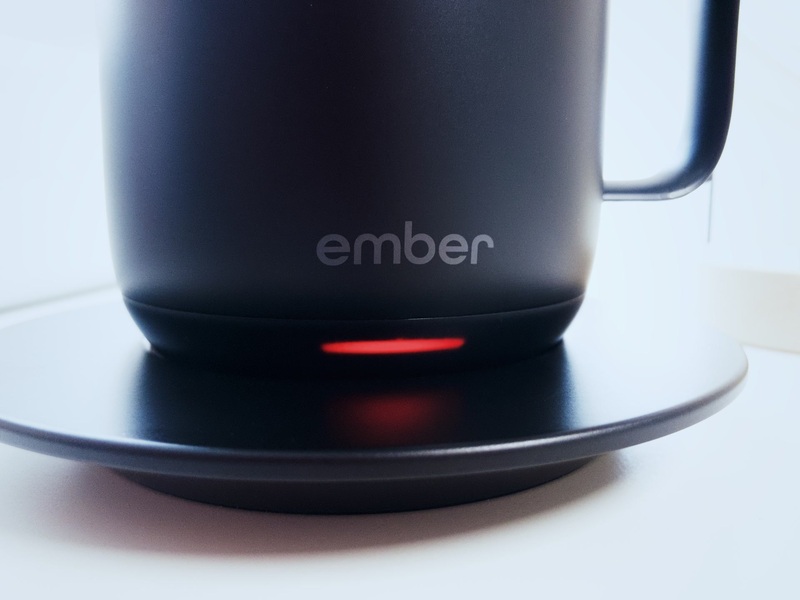 Ember is getting a bunch of unfair reviews from journalists who have already decided they’ll be focusing on the “80-dollar connected late mug #latecapitalism“ train and I get it. It’s a point that will resonate with many people. 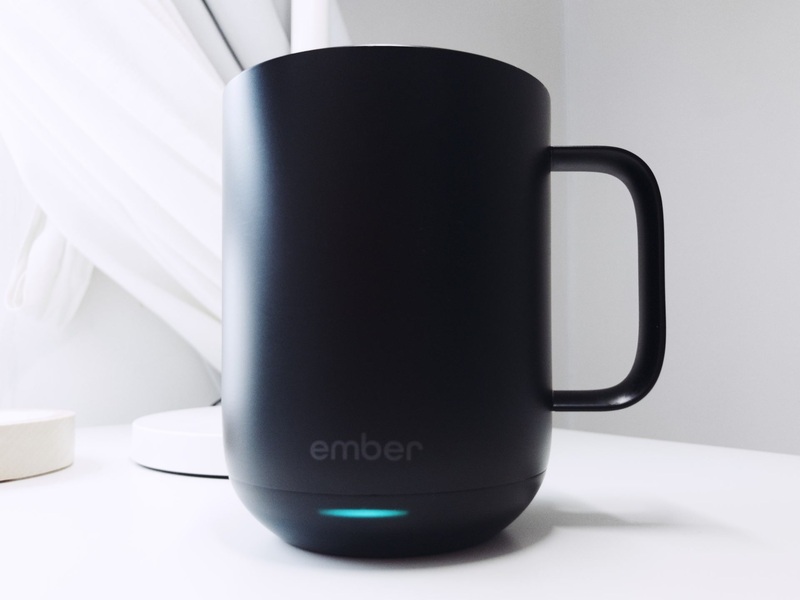 Instead of testing the actual experience against what Ember is promising, they are poking fun at the whole idea of a connected heating mug. 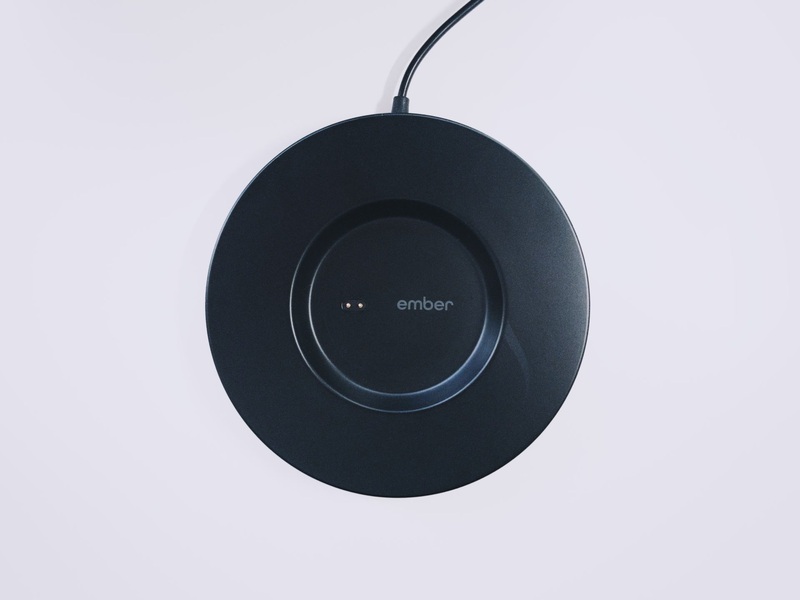 I think Ember has shipped a great product. 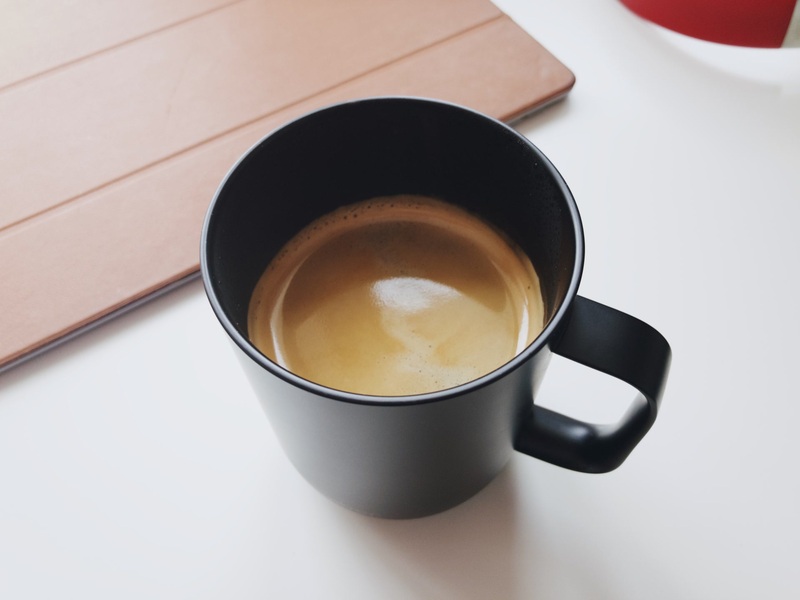 Sure, maybe not everyone needs it, but if you’re having a lot of coffee at your desk or at home, I’d definitely recommend it. Ember also sells the Travel mug which even has a built-in control dial and display, but it’s a bit too expensive at $150. Maybe I might re-consider if I commuted by car on a daily basis. PS: This review was done entirely using iOS devices. The pictures were taken on an iPhone X using Halide (RAW images), edited on an iPad Pro in Darkroom and retouched via Affinity Photo. The text was written in iA Writer using the Microsoft Universal Foldable Keyboard and the post was published with Webflow.